The Fondation de l’Hermitage continues its exploration of the great centres of western art in the 19th century with an exhibition devoted to British painting from Turner to Whistler, taking in the Pre-Raphaelites. Nearly 60 paintings, on loan from the most prestigious collections in the United Kingdom and shown in Switzerland for the first time, offer an unrivaled survey of art produced during the golden age of the British Empire, highlighting its captivating originality. Frederick Sandys, Vivien, 1863. Huile sur toile, 64 x 52,5 cm. Manchester Art Gallery © Manchester Art Gallery / Bridgeman Images. Alongside Turner, whose dazzling oeuvre anticipated Impressionism, the exhibition pays tribute to artists who won renown through landscape painting, such as Atkinson Grimshaw, Baker Pyne, Brett, and Martin. Alfred Edward Emslie, Bending Sail after a Gale, 1881, oil on canvas, 68x102cm, Private Collection, ©photo TDR. 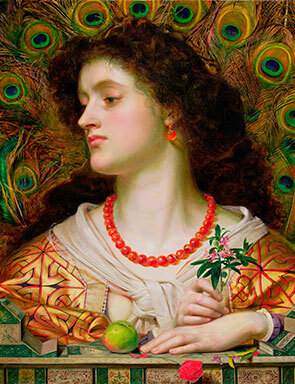 The exhibition places a special emphasis on the Pre-Raphaelite Brotherhood (Millais, Rossetti) as well as the Aesthetic Movement (Burne-Jones, Watts), two circles of artists who found powerful inspiration in literature, mythology and antiquity (Alma-Tadema, Egley, Hughes, Sandys, Scott). George William Joy, The Bayswater Omnibus, 1895, oil on canvas, 120,6×172,5 cm, Museum of London, ©George William Joy / Museum of London. The industrial revolution and the rapid development of cities and public transport give rise to compelling scenes that bear witness to different facets of modern life (Emslie, Fletcher, Hicks, Joy) along with its social repercussions (Collinson, Holl, Mulready, Nelson O’Neil, Walker). James Collinson, At the Bazaar, 1857, oil on panel, 60,6×45,7cm, Sheffield Museum, Graves Gift 1929, ©Sheffield Museum. British Painting from Turner to Whistler is the first exhibition devoted to British Victorian paintings in a Swiss museum and is intended to reveal the many artistic directions that dominated the visual arts in Britain after the death of Constable. Included in the exhibition are three works on loan from the Royal Collection which showcase the richness and diversity of paintings made during this period. 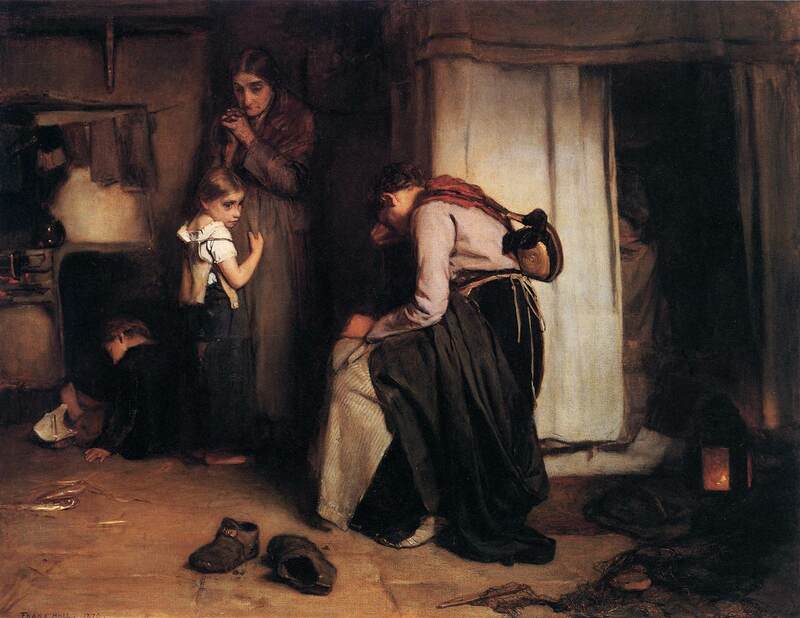 Frank Holl, No Tidings from The Sea provides an example of a direct commission by Queen Victoria with the subject left to the painter's discretion. The survey concludes with a section dedicated to Sargent and Whistler, cosmopolitan artists of American origin: bold and brilliant portrait painters, among the most celebrated of their era.